Offering mobile learning in a bottle may sound unusual, but this is precisely Gululu’s mandate. As temperatures soar, our bodies need to rehydrate more often. While most adults naturally do this, many small children, who also frequently spend long periods of time outside playing under the hot sun, forget to rehydrate. Gululu by Bowhead Technology is a smart water bottle designed to teach young children about the value and necessity of rehydration, and the company has even gamified the learning process. A 2015 study published by the American Public Health Association found that a majority of children (54.5%) exhibited “inadequate hydration.” The study was based on data taken from 4134 participants between the ages of 6 and 19 years of age. Among other notable risks, inadequate hydration has been seen to impact children’s health and school performance. As the authors of the study note, “Drinking water can improve children’s performance on cognitive tests.” The study further found that even an 8-fluid-ounce daily increase in water intake could significantly reduce some of these risks. 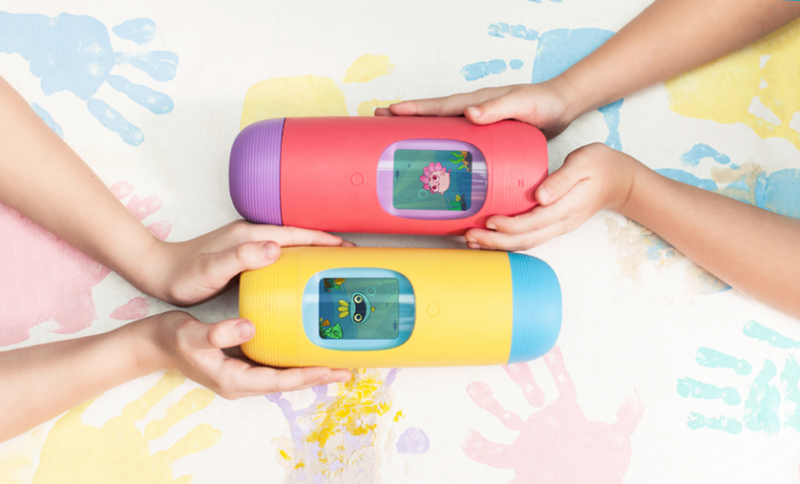 Gululu describes itself as “the world’s first interactive water bottle designed to keep kids hydrated.” It’s new model, announced earlier this week, is now lighter, more portable, and has a sound speaker. Invented by Bowhead Technology, Gululu is designed to ensure children are hydrated but it does this by engaging them to care for a virtual pet. In short, as kids drink water from their Gululu bottle, their chosen virtual pet grows and even begins to make other virtual friends. While Gululu’s virtual pets do speak, they probably aren’t the best companion species. Collectively, they know 200 phrases. Gululu isn’t just for kids. The bottle also keeps parents informed of their children’s water intake throughout the day. So, if you’re a mom or dad wondering if your child’s summer camp counselor has, in fact, ensured your child has rehydrated, you no longer need to worry. You can now track your child’s water intake via your Gululu app. Interested in buying a Gululu for your child? First, they must be at least three years of age. Second, this isn’t your average water bottle. The new Gululu will retail at $119 per unit. One can only hope that the bottle is riveting enough to your child that it will never get left behind at school or on an outing to the park. Notably, Bowhead Technology is listed on Crunchbase as a childcare company, not edtech company, but in many respects, it represents where edtech may be going in the near future. As the Internet of Things (IoT) continues to result in a growing number of quotidian objects becoming networked, it seems likely that micro learning will increasingly take place through interactions with objects not apps on tablets and mobile phones. There are signs that childhood learning may be especially impacted by the arrival of IoT based devices. Beyond the very legitimate concerns that continue to arise about the security of these devices, there appears to be a potentially large and yet still untapped early childhood education market waiting for smart devices that will help to support the health and early education of children.